VIPAccessEXCLUSIVE: Sean Ryan Fox Interview With Alexisjoyvipaccess At The 2016 Nickelodeon Kids’ Choice Sports! With the incredible Nickelodeon just recently announcing the third season pick-up of its highly-acclaimed, hit TV show, Henry Danger, we all are ready to grab our superhero capes and join the Henry Danger cast for a lot more fun and adventure-packed episodes. For all of you who love Henry Danger (Who doesn’t?!) you know the outstanding and immensely talented actor, Sean Ryan Fox! Sean Ryan Fox plays the exceptional role of Jasper Dunlop on the show, a funny character who has a love for buckets, yes, he collects buckets, and he also is a big fan of Captain Man. One thing is for sure, he is an awesome friend to Henry Hart. Sean Ryan Fox is such a spectacular and gifted actor, and we always enjoy every one of his projects and all of the magnificent roles that he takes on! I, Alexisjoyvipaccess had the greatest honor of covering and attending the renowned and prestigious 2016 Nickelodeon Kids’ Choice Sports again, celebrating everyone’s favorite iconic sports stars and sports moments; and I had a blast interviewing the excellent Sean Ryan Fox at the event. Sean Ryan Fox dished exclusively to Alexisjoyvipaccess all about what he would like to see happen in future episodes of the third season of Henry Danger, what are some ways he gets up and gets active, and so much more only in our VIPAccessEXCLUSIVE interview. Sean Ryan Fox even spilled on who he would have liked to see slimed at the event – hear what he had to say in our VIPAccessEXCLUSIVE interview below. Thanks for the fun interview, Sean! Check out my VIPAccessEXCLUSIVE interview with the phenomenal Sean Ryan Fox at the 2016 Nickelodeon Kids’ Choice Sports below! Previous VIPAccessEXCLUSIVE: Jaheem Toombs Updated Interview With Alexisjoyvipaccess At The 2016 Nickelodeon Kids’ Choice Sports! Next VIPAccessEXCLUSIVE: Benjamin Flores Jr. 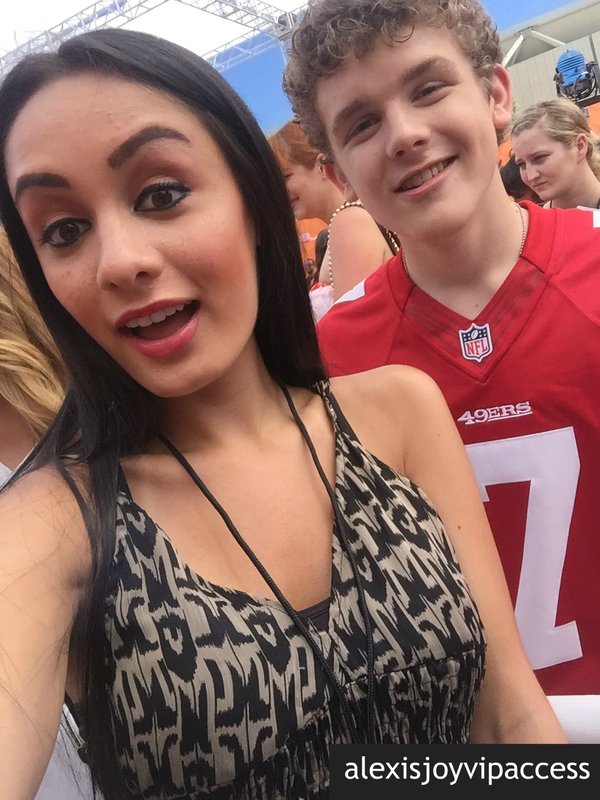 Updated Interview With Alexisjoyvipaccess At The 2016 Nickelodeon Kids’ Choice Sports!